We began this school project depending on donor funding–and continue to need it. Our ultimate goal though, is to move towards self-sustainability. One of the main elements to help us achieve that is in this is … our farm. After classes, classes take turns in the later afternoon to dig the produce we are growing. 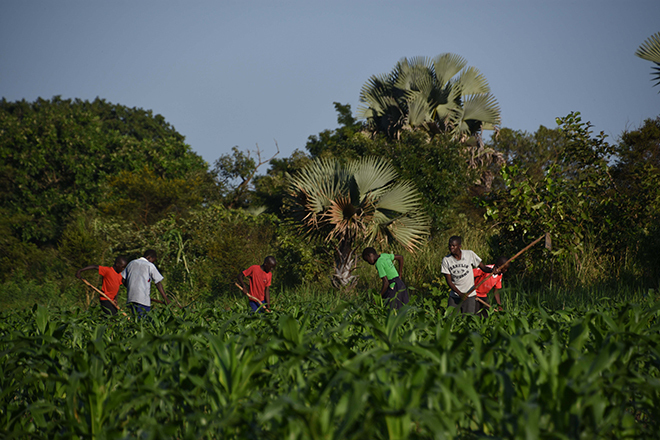 It’s a nice break for them from studies and they have a real pride in growing their own vegetables and maize. Here the boys are weeding the onions. Cabbages are still in the nursery beds and it’s exciting to start to get a bigger variety again.